unrelated to the japanese blowfish and definitely NOT poisonous, Sphoeroides maculatus is located up and down the northern atlantic coast, and sometimes known as the northern puffer (or the blow toad!). they are quite delicious, the big joke (of course) is that they ‘taste like chicken’! 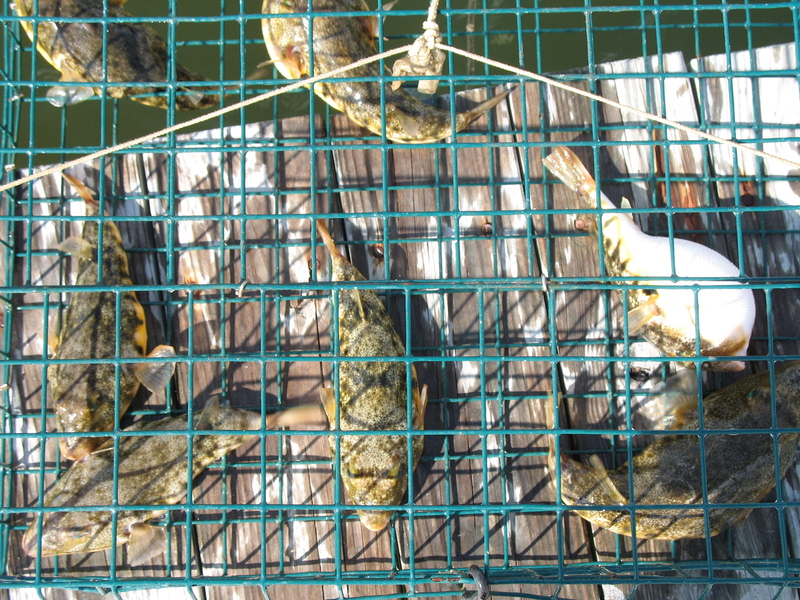 around barnegat bay, they are even referred to as ‘chicken-of-the-sea’. the largest one caught in NJ is recorded at 1lb 14oz in the Delaware Bay — i wish i could have seen it inflated! we like them best breaded with a good quality italian-seasoned bread crumb mixture and fried in a few tablespoons of butter and olive oil. serve with a wedge of lemon. 2007.06.08 - Posted by	gfb1 | what's for dinner?